An often overlooked obligation that lawyers have is protecting a client’s identity and the contents of their file. The American Bar Association Model Rule 1.1 states that a lawyer must be competent in their field of practice but, in 2012, it added that a lawyer must be competent in the use and risk of technology. Identity theft is growing problem in the United States. Last year alone, close to 18 million individuals were the victims of some type of identity theft. If your identity has been compromised, you know how difficult it is to fix it. Lawyers have an ethical duty to protect a client’s identity. In a personal injury case such as a car crash or work injury, data such as your date of birth, social security number, and home address are frequently shared between lawyers, doctors, and insurance companies. If this information falls in the wrong hands, your identity is at risk. Email communication has become increasingly popular among lawyers. When we do so, we must encrypt those documents so they are sent securely. Encrypting a document makes it impossible to open the document unless the recipient has a password. Although you may think that an email goes from one party to another, it actually passes through many checkpoints, called “hops,” before it reaches the recipient. If any of those “hops” have been compromised, an unencrypted document is accessible to anyone. I frequently lecture around the country on the use of technology in the law. I find that many lawyers do not encrypt their electronic communications. They are playing a dangerous game with your identity. 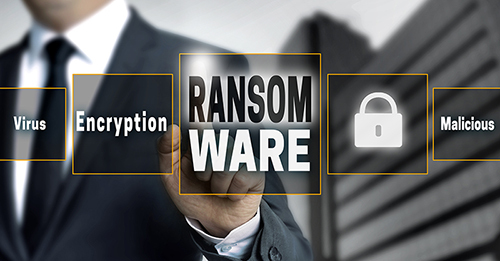 I am also realizing that lawyers and law firms do not adequately protect their clients’ data from the Ransomware or Cryptoware virus. Either of these viruses can erase your file or prevent your file from being accessed by your lawyer. My office utilizes all of the necessary software to prevent a Ransomware or Cryptovirus attack. I also make certain that every document that gets sent out electronically is encrypted so your data is safe. Ask your lawyer about all of the steps they take to ensure that your file is safe. Ask how they share your sensitive data with the other side. If you have any questions on how your identity can be protected during your legal matter, please give me a call at 617-564-3299.